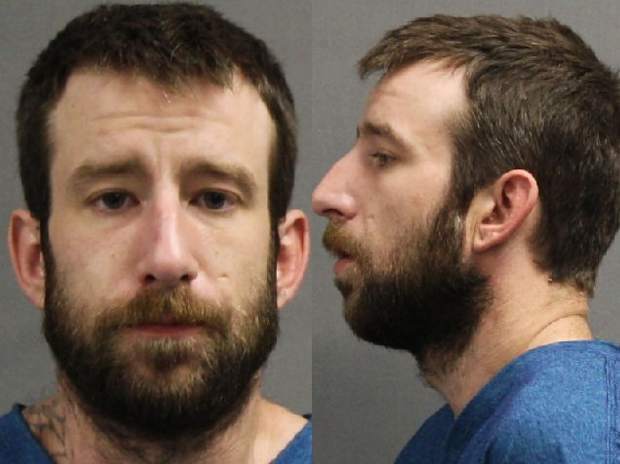 Dennis John Tierney, 30, pled guilty to felony charges of criminally negligent homicide and distribution on Thursday, after a Breckenridge man overdosed on Fentanyl-laced heroin sold by Tierney in February. Dennis Tierney, a low-level drug dealer in Summit County, admitted guilt in the death of 30-year-old James Nicholas in Summit County Court on Thursday, who died in February as the result of an illicit Fentanyl overdose in Breckenridge. Tierney pleaded guilty to felony charges of criminally negligent homicide and distribution for his role in supplying Nicholas with the substance. On Feb. 6, the Summit County Sheriff’s Office responded to a southeast Breckenridge residence on a report that Nicholas was unconscious and not breathing, according to court documents. Officers responded to the scene at around 10 a.m., and Nicholas was pronounced deceased on scene. Officer’s spoke to Nicholas’ girlfriend who was in the room with him during the overdose early that morning. The woman told police that she woke up around 9 a.m. and noticed him face down on the floor. She used Narcan — a medication commonly used by law enforcement and emergency medical personnel to block the affects of opioids — and called 911. She told police that both Nicholas and she had a history of drug abuse, but that both had been clean since they started dating in November 2017. Nicholas’ girlfriend later recanted parts of her story, admitting that both she and Nicholas were still habitual drug users, and that Nicholas commonly used heroin and cocaine. In investigating the residence, police noted a syringe, a syringe cap and a bent spoon with a dark brown substance on a dresser in the bedroom. On Feb. 7, law enforcement received a call from one of Nicholas’ roommates, who told police that a formerly evicted roommate named Dennis — later identified as 30-year-old Dennis Tierney — was in the living room when he left for work on Feb. 5. He also noted that he recalled disposing of a spoon with white residue on it when he moved into Tierney’s old room. Police sent Nicholas’ phone to be forensically downloaded by the Garfield County Computer Forensics Lab, returning a number of texts exchanged regarding heroin deals between Tierney and Nicholas between August 2017 and Feb. 5, 2018. The messages detail prices and times when Tierney would go down to Denver to pick up the heroin. It was later determined that the heroin Tierney sold to Nicholas on Feb. 4 was laced with Fentanyl, leading to his death. It was also determined that Tierney was aware that the heroin was cut with Fentanyl, evident from the text exchange. A toxicology report of Nicholas’ blood revealed Fentanyl, THC, cocaine, opiates, codeine and more substances in his system. The manner and circumstances of his death were accidental, according to the Summit County Coroner’s report. According to the National Institute on Drug Abuse, “Fentanyl is a powerful synthetic opioid analgesic that is similar to morphine but is 50 to 100 times more potent. It is a schedule II prescription drug, and it is typically used to treat patients with severe pain or to manage pain after surgery.” There were more than 10,500 drug overdose deaths in Colorado residents from 2000-2015, with rates rising in almost every year, according to the Colorado Department of Health & Environment. According to Nicholas’ girlfriend, Tierney was Nicholas’ main supplier of drugs, and sold to people in Silverthorne, Frisco and Breckenridge. She noted that Tierney also gave Nicholas the Narcan about a week before the incident, and that she had personally witnessed about 10 drug-related transactions between the two. In a subsequent search of Tierney’s car, police discovered .5 grams of methamphetamine along with 2.5 grams of heroin. Tierney will be sentenced on Oct. 19 by District Court Judge Karen Romeo, and faces a possible sentence in the Colorado Department of Corrections of up to three years as negotiated in his plea agreement. He remains in custody as this time. The District Attorney’s Office is asking that anyone who is aware of an overdose immediately call for help by summoning and cooperating with first responders. Reporting parties will be immune from prosecution for certain violations of criminal law.